Even though face transplant is still in its experimental stage, many of our readers have asked us about the side effects of face transplant. Face transplant is a surgical procedure that is performed to replace the whole or a part of person’s face. 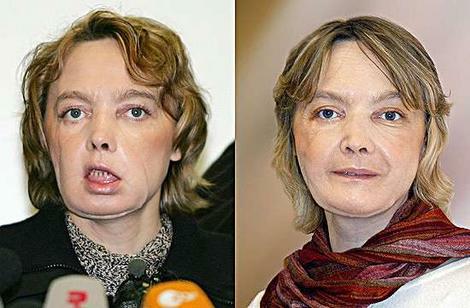 Even though several partial face transplants have been performed in the past, the first complete face transplant procedure was performed in Spain in 2010. Transplanting of face is similar to any other organ transplant. When an organ is transplanted there is always a risk that the body of the recipient will reject the transplant. If the body is accepts the transplant the side-effects of the surgery are minimal. However, if for some reason the transplant is rejected it can cause severe facial disfigurement. Imagine living a life without a face! Also, performing basic functions like smiling, chewing, blinking, frowning and breathing can become a problem. At times, the facial disfigurement can be so bad that people withdraw from the society and become depressed. Another major side-effect of face transplant is the problems associated with the medicines that you have to take to take to minimize the risk of rejection. These immunosuppressant drugs have to be taken by patients for rest of their lives to prevent the body from rejecting the transplant. Even though these medicines are essential for survival of the patients, they come with serious side-effects. Some of the side-effects of these medicines include infections, fatal cancers and even kidney failure. Apart from side-effects of face transplant, there are several ethical issues that have to be considered when opting for this procedure. When a face transplant procedure is performed, the face of one person is transplanted to another person. So do the doctors take the permission from the deceased and their family to remove the face of the person? Also, is the family of the deceased emotionally prepared to see a face that resembled a person they loved? So even though medical advancements in face transplant have made the procedure simpler, patients still have to deal with the side-effects of the operation. Also, there are still ethical questions that remain unanswered.